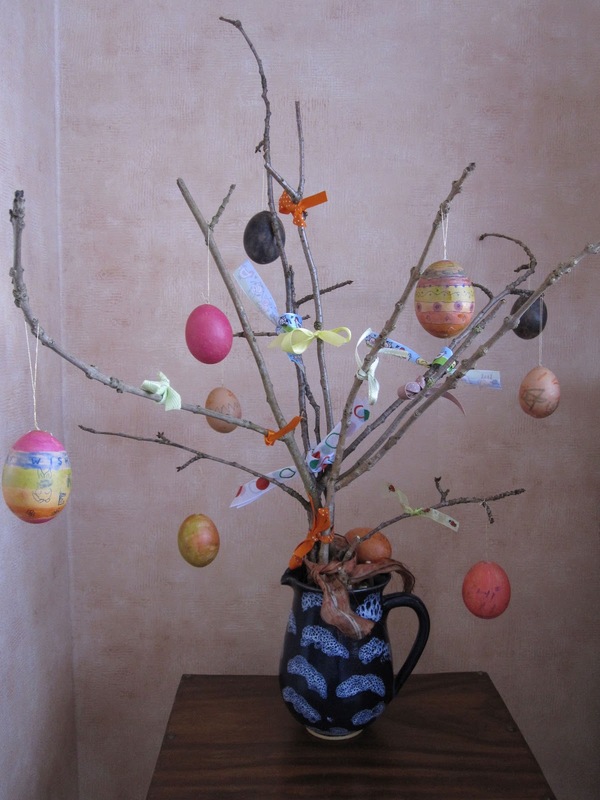 Hope everyone has a wonderful Easter. I will be spending my evening hiding clues for a little Easter egg hunt and tomorrow there will be little chocolate cornflake nests with coloured chocolate eggs in them and a roasted beast. Also something vegetarian for me; I usually forget that until the very last minute. And also some chocolate, did I mention chocolate? Above is our attempt at a festive tree. Mostly boys have been making model skateparks out of vast amounts of cardboard and sticky tape though. 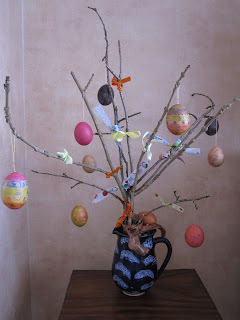 I did the ribbons and stuck myself to the eggs with superglue while trying to get the hanging strings on them. Then in a typical moment of impatience I tried to hang them up before they were dry and had to do it all over again when half of them fell off. Martha Stewart eat your heart out. 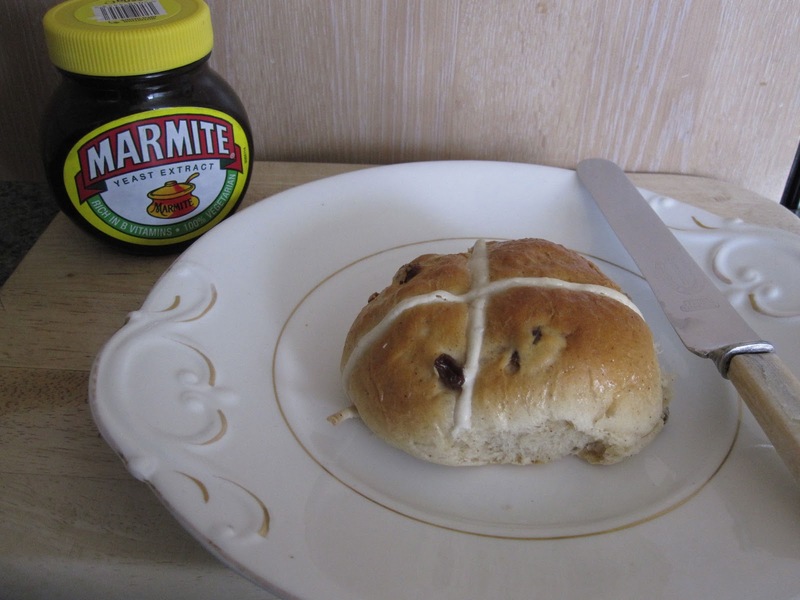 I got out the hot cross buns on Wednesday as a little pre-swimming snack. 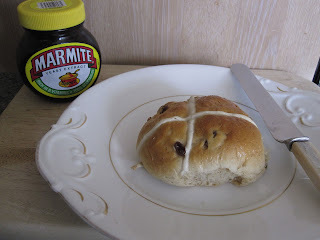 The littlest boy, who is four and knows exactly what a hot cross bun is, said, "Ooh, can I have Marmite on mine?" I can't help thinking I should have given it to him to see if he would actually have eaten it. I suspect he would. Broccoli, no, parsnips, no, peas, under duress, but a hot cross bun with Marmite on it, YUM. Goethe wrote, "Whatever you can do, or dream you can, begin it. Boldness has genius, power and magic in it." It is one of my favourite quotes, not least because, to be honest, I am one of those people who needs a little push from an inspirational line or two. I think it's because I'm a dreamer, always imagining what I could do, what I might do, how wonderful it would all be. But when it gets to the actual doing of it, usually the washing needs folding first, or the tea needs thinking about or... well, you get the picture. Then I read a post by Lucy and it got me thinking about actually doing it. 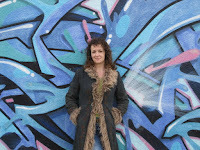 Starting a blog of my very own. Just plunging in and worrying about the details of it all later. Learning as I go. The timing is probably never going to be perfect, so why not now? Although there is never quite enough time in life, it is another truth that we make time for what we want to do. So, no more prevaricating, I'm doing it. And it does mean that I will be able to break out a new notebook, which is something that makes me ridiculously happy. 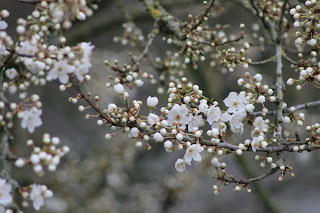 Photo of a little blossom. Spring will happen whether the temperatures warm up or not.